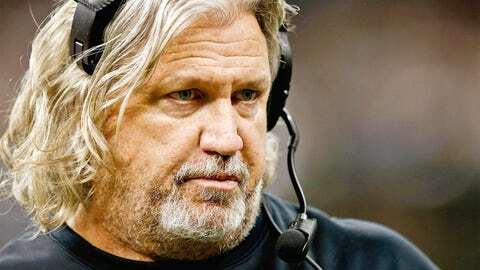 When Rob Ryan knows what he wants, he knows what he wants. When the St. Louis Rams defensive coordinator job wasn’t working out because of differences with head coach Jeff Fisher, Ryan turned in his keys and hightailed it across the street for some early morning McDonald’s, according to NFL Media columnist Michel Silver. Revelations about what happened on the last day of Ryan’s short tenure with the Rams came on Sunday morning before the Rams took on the Saints, where Ryan now coaches. Some bad blood remains between the two, likely because of the way Ryan handled (or mishandled) his resignation. According to Silver, Ryan walked into Fisher’s office at 7:30 a.m., dropped his keys on the desk and told the coach he was done. All the while, Fisher’s other assistants were in a staff meeting that overlooked the parking lot. The coaches reportedly saw Ryan exit the building for the last time and head across the street to McDonald’s. Ryan "goes to get a Big Mac and never comes back," Silver said.